I was wondering if we could advertise BT a little bit. I know Aggs doesn't want a huge back, but we need to get a little bit more activity. :3 Does anyone agree? 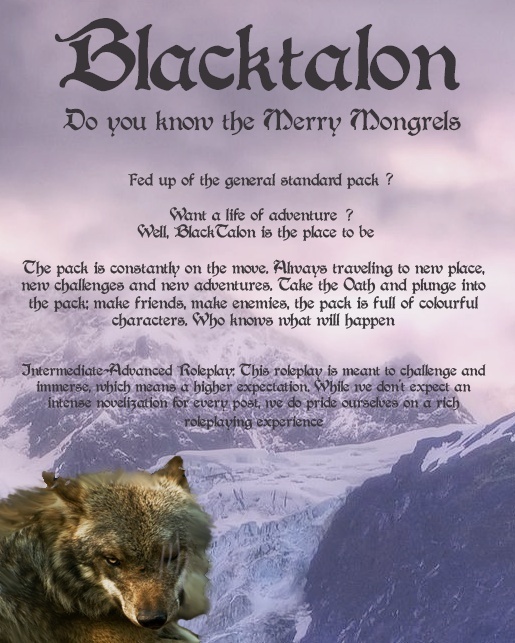 Here's an advert I create for the pack. That sounds like a good idea as well, that member-thing idea. However, when I try to advertise packs no one ever takes a look, or they join but leave no posts at all (dying forever). I hope that when others advertise BT, they have more luck.